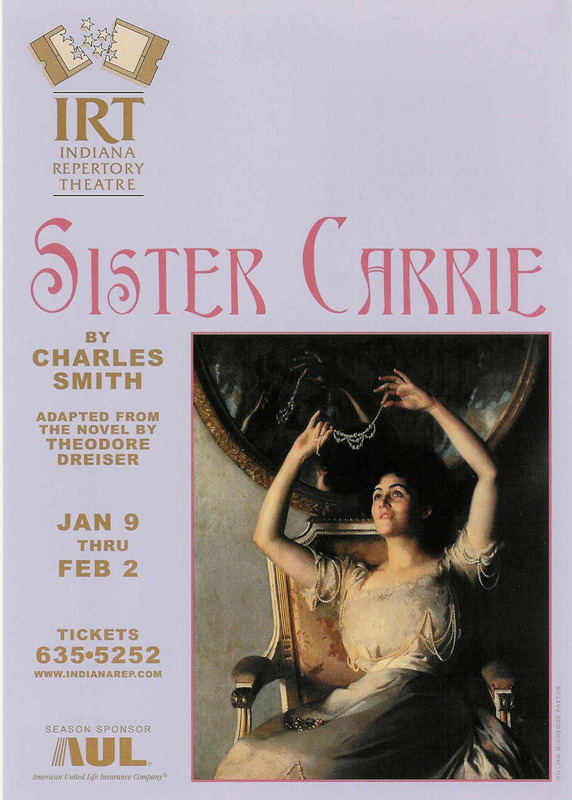 Commissioned and produced in 2002 by Indiana Repertory Theatre, Janet Allen, Artistic director, Sister Carrie is the stage adaptation of the Theodore Dreiser novel of the same name. It is the story of Carrie Meeber, an impressionable young girl who leaves the insulated confines of rural Wisconsin in the early 1900’s and enters the throbbing, amoral world of the big city. Soon her yearning for an honorable life and for lasting love is compromised. Each attempt to reconcile her dreams with reality forces Carrie into ever-more tangled affairs until she is forced to contend with the deep and driving forces of American culture, its restless idealism and its glamorous material temptations.